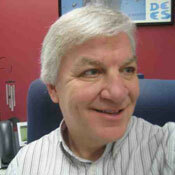 Dennis Pearce has over 30 years experience in manufacturing, product development, quality, IT, and knowledge management. He is currently Enterprise Knowledge Architect for Lexmark International, Inc., focusing on internal and external collaboration strategies and systems. Are Social Businesses Really More Innovative? A strong enterprise social network can improve innovation in an organization, according to anecdotes and self-reported survey data. But how can we measure more accurately? Use the collaboration footprint method to reveal strengths and weaknesses in how your business shares information. Social business adoption shouldn't focus on individuals. Instead, success stems from groups. Here's why. Tracking your social business numbers helps you know when it's time to shift your strategy. Here's what to do when adoption slows. Social business is changing how we document business processes and IT operations. Here's why. A successful transition to a social business hinges on employee adoption. Plan carefully for these seven ways people perceive change. Employees resisting social business? You can improve adoption by predicting how these types will react to new ideas. Everyone's trying to create environments for rapid innovation, but some ideas need to simmer for a while.